The Edge What Are You Waiting For? You Need OpEx! What Are You Waiting For? You Need OpEx! I occasionally speak with business owners and executives who believe in increasing quality, efficiency and productivity but are resistant to the idea of formal Operational Excellence (OpEx) programs. They often site the complexity of Six-Sigma or don’t really understand the lean approach. But really, their concerns boil down to a belief that they can get much of the benefit without the investment of time, energy and money required to institutionalize the tools and methodologies required to formalize a continuous program. The evidence and my experience say otherwise. In my experience, a formal OpEx program can reliably produce 2% – 5% of annual sales in cost improvement. And I can’t think of a single case where formalizing the program didn’t produce results that at least covered the cost of implementation in the first year! This is as true in a small business as it is in billion dollar corporations. Tools and methodologies are two concepts that drive the dramatic difference in results between formal and informal continuous improvement efforts. 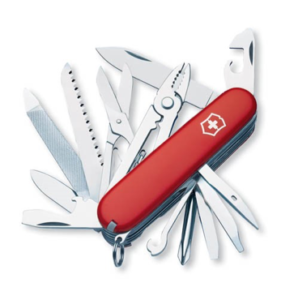 In OpEx, we define tools as proven techniques that help teams understand their processes and make better decisions on how to improve them. Examples include concepts as straightforward as project charters, meeting rules and brainstorming. On the more complex end are things like Failure Modes Effects Analysis and Single Minute Exchange of Die. I have personally seen teams solve problems in months that have been a problem in the business for years by just writing an effective project charter, committing time to solving the problem and learning to run effective team meetings. The answer to most business issues are usually already in the room and effective use of OpEx tools can unlock those ideas in a ream process. Furthermore, we define a methodology as a rigorous and data driven approach to choosing and executing projects that drive business and technical process improvement. 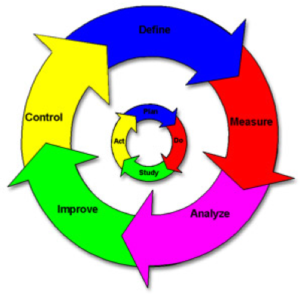 Examples include Lean, Six-Sigma and Practical Process Improvement. These methodologies create a disciplined approach which leads to real change and measureable results. None of this is out of reach for your business. Remember, the results produced by a formal OpEx effort can be expected to cover the cost of the investment in the first year. And returns will only grow from there. In smaller businesses, you might want to invest in the education of key employees and let them drive the improvements. In larger businesses, an expert consultant might be the right answer. In large businesses, you probably have the cash flow to invest in OpEx resources on your permanent staff. Either way, the return on investment will be terrific! David Powe is the partner and lead consultant at AIOPX Management Consulting. AIOPX helps businesses increase profits, cash flow and enterprise value through the application of Operations Excellence methodologies. David can be reached at dpowe@aiopx.com or 585-704-6241.